If you have recently installed Fortunitas application, then you most probably have MediaPlayerPlus on your computer as well. The latter is a browser add-on that is considered an adware application. It means that MediaPlayerPlus collects information on your web browsing habits, processes them and then generates commercial advertisements that are related to your overall likes and preferences. MediaPlayerPlus is more annoying than dangerous, but it is still advisable to get rid of this application, because in the long run third party commercial content might expose you to serious computer security risks. Although most of the adware applications often have their own home pages, that is not the case with MediaPlayerPlus. It is directly related to Lyrics family adware, considering that it retains the same system icon as Lyrics Fan, Boby Lyrics, Lyrics Monkey and many other Lyrics adware applications that have been out there for quite some time now. 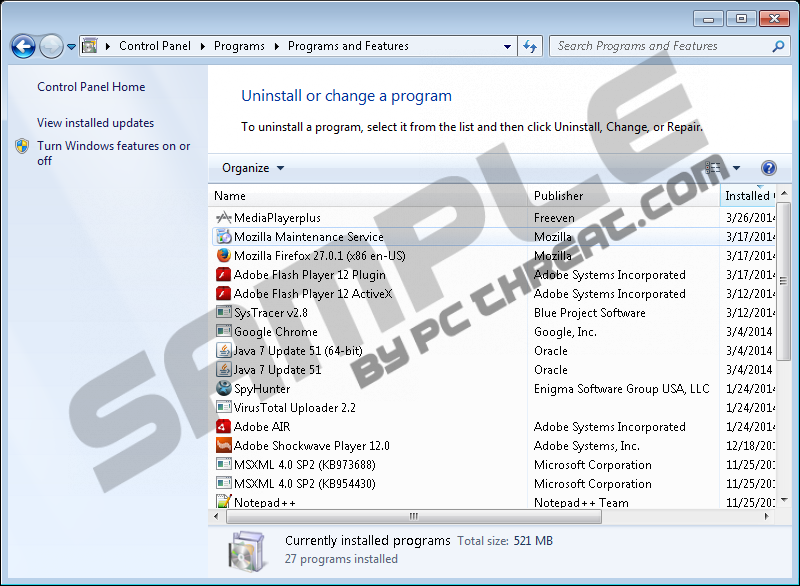 Although MediaPlayerPlus does not have an official home page, it still boasts of a wide distribution network, considering that it is often embedded in third party freeware installers. For example, it is known to be one of the components of a Java update installer, so if you download a Java update NOT from an official website, be attentive because you might as well end up installing an entire bunch of potentially unwanted applications. MediaPlayerPlus itself is not extremely dangerous, as it merely displays pop-up ads. The commercial pop-up advertisements are what you should be concerned about when it comes to your system security. Such applications as MediaPlayerPlus are vulnerable to third party exploitation. In other words, infecting you with malware or luring out your money is not their main purpose, but they might as well be used by malevolent third party to collect personally non-identifiable data, redirect you to potentially corrupted websites and even expose you to dangerous malware. Therefore, to make sure that you stay away from anything that is at least remotely related to computer security threats, you need to uninstall MediaPlayerPlus right now. At the same time, make sure you remove all the other potentially unwanted applications from the PC. To make sure that you terminate all the suspicious programs, scan the PC with SpyHunter free scanner and a list of potential threats will be given to you immediately. Once you are done with manual removal, get yourself a licensed computer security application that will protect you and your system from any further malevolent exploitation. Also, should you have any questions on MediaPlayerPlus or how to remove it, do not hesitate to contact us by leaving a comment in the box below. 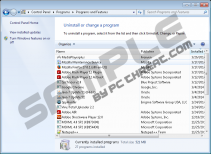 Select Uninstall a program and remove MediaPlayerPlus. Highlight MediaPlayerPlus and then click Uninstall. Click Start menu button and navigate to Settings. Press Reset Firefox at the top right corner of a new tab. Click Reset Firefox on a new pop-up box. Quick & tested solution for MediaPlayerPlus removal.